One new feature that was introduced in Vtiger 6.1 was an extension marketplace where developers publish paid and free extension for the Open Source users to buy them. As you might have noticed, since 6. each time you login into you CRM you will see a banner of one the published extensions. Being an extension publisher myself. I’ve seen one of my extension banners being published on the homepage of many Vtiger installations. 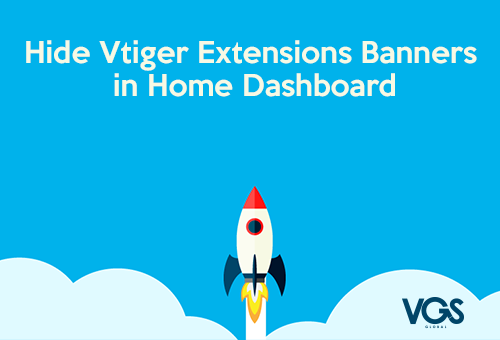 Even if I still think this a splendid way to market Vtiger extensions, many of VGS’s customers keep asking to remove the banner from their home page. Instead of hacking your CRM, we have created a simple extension module to avoid doing the same task over and over with the customers that request this feature. 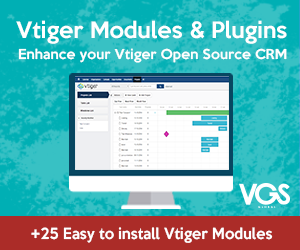 Once installed, this vtiger module will automatically hide the Vtiger Extension Banner from your CRM dashboard. This new module is 100% module manager compatible. This means that you don’t need to hack around your VT installation. Because we have seen this appear repeatedly in vtiger’s forums and in the developers mailing list we have made this module freely available. 100% open source for everyone to use it. Enable / Disable the hide action from the settings pane: Once the module is installed you can enable/disable the hidden feature from your settings pane. Download VGS Hide Ads, Now Its Free and you, can use in as many installations as you need. How do I install the module once I have downloaded it? I have tried install the module and after the steps above I have got a blank screen at the settings pane. Im using a Vtiger 6.1. Thank you very much and congratulations for the works! Make sure the folder layout/vlayout is writable by the webserver.If not, please make it writable and reupload the module. Insert your email, you will receive the download link in your inbox.